GSCOPY is a single command line tool (CLI) that can copy, replicate and move files from one folder to another. This folder can be on the same machine/ server or another server elsewhere. What makes GSCOPY stand out from other competitiors is the fact it works on 32-bit as well as 64-bit systems it has no restirictions. It can easily be scheduled to run as a scheduled task and fully automated. It can copy files and folders from one location to another. Note you have the option to include ACLs and file/folder attributes. It can copy only modified files and folders while skipping ones that have not been modified. Note you have the option to include ACLs and file/folder attributes. It can move files and folders from one location to another while keeping ACLs (Access Control List) and file attributes. It can have a folder mirrored to another folder anywhere, meaning the target folder will have the same files and folder structre along with all the ACLs and file/folder attributes. Can copy only the directory structure (leaving out the files in them) to another location. Note you have the option to include ACLs and folder attributes. Download it for free Today Click here to download. Please note that windows 2012 and windows 2008R2 only come in 64-bit systems and GSCopy works perfectly fine with both of them. 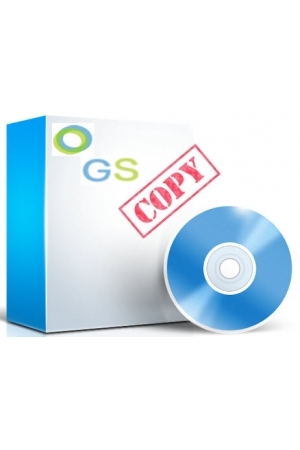 GSCopy does NOT require installation and it is a single EXE file. It only requires that you have Microsoft .NET Framework 4 Client Profile installed on the machine that will be running the GSCopy. .NET Framework 4 can be downloaded from Microsoft's website at this link: http://www.microsoft.com/en-us/download/details.aspx?id=24872. NOTE: Windows 8 and Windows Server 2012 already come preinstalled with Windows .NET Framework 4 so GSCopy will work on them with right out of the box with no prerequisites. system administrators are likely to have active at any given time, rather than the total number of GSCopy jobs scheduled to run in the environment.